While some Ricoh scanner models can only scan when directly connected to a computer, other models are able to scan directly to a network server. 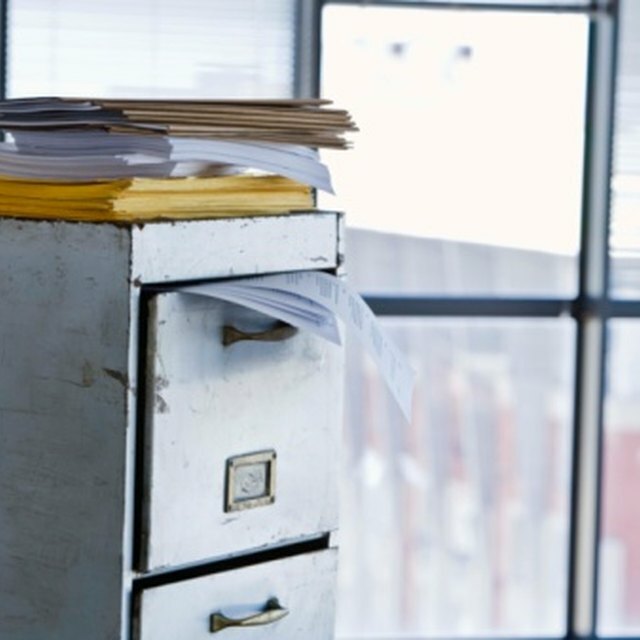 Network scanning facilitates the ability to share scanned documents with all users connected to the server, increasing the productivity of workers needing to collaborate on documents. Connect the scanner to a network port with the appropriate cable. Most Ricoh scanners use either a USB cable or a standard network CAT 5 cable to connect to the server. Install scanning software on the server. Place the CD that came with the scanner into the server's disk drive and either select "Install" when the auto install program runs or find and select the "Setup" file that will be on the disk's contents. Scanning software allows the scanner to communicate with the server. Many Ricoh models come with the appropriate scanning software. If you do not have the right scanning software, search the Internet for scanning drivers for your particular Ricoh model. Run the device finder application from the scanner software. Once the scanning software is installed, there will be a button in the window of the scanning software, labeled "Find Devices." This application which is embedded into Ricoh scanning software, polls the network and finds the attached Ricoh scanner. Once the device finder connects to the Ricoh scanner, it automatically maps the connection from the scanner back to the server. Create a shared folder. Using the scanner software's preferences menu, choose a shared folder that all have access to for scanned images to be sent to. The scanning software will automatically create a folder for you if you choose to create a new folder over saving images to an existing folder. This folder will be where the scanner sends all images and can be accessed for users to view, add to and pull images to their desktops from. Run test scans by placing documents into the document feeder of the Ricoh scanner and using the scanning software to send a scan command to the scanner. The scanner will automatically send all scanned images to the shared network folder. Run several scans and check the shared folder for quality and that all images have been stored. Make sure that the scanned images contain the same number of pages that were placed into the document feeder. If your images are fuzzy, clean the scanner's platen glass.